Place half the pistachios in a blender or food processor and finely grind. Add the remaining pistachios and grind to slightly more coarse than the previous pistachios. Place in a small mixing bowl with the tahini and cranberries. Heat the maple syrup to a boil in a small saucepan. Reduce the heat to low and simmer, stirring frequently, for 5 to 7 minutes. Pour the hot syrup over the pistachios. 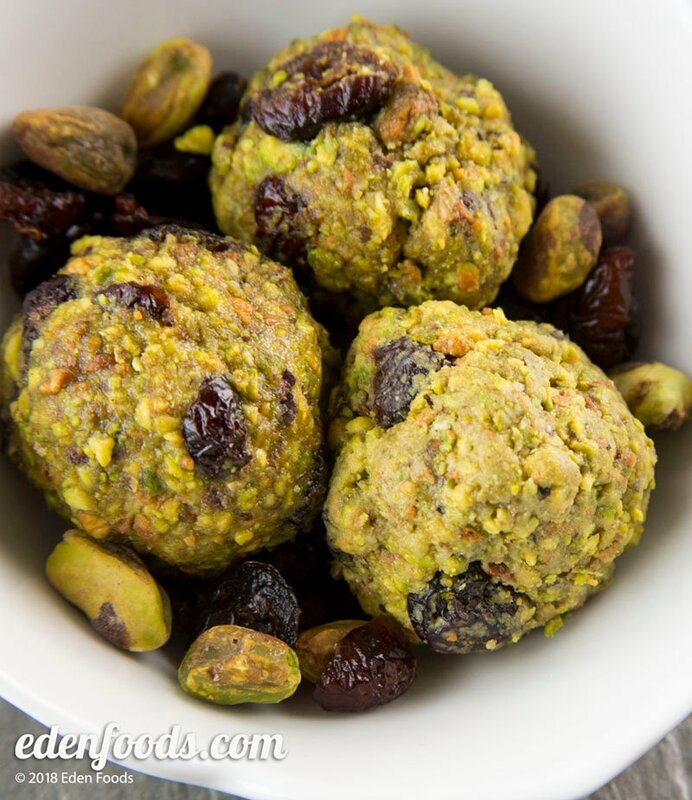 Take a heaping tablespoon of the pistachio mixture in your hands and form it into a tightly packed ball, slightly smaller than a golf ball. Repeat until all mixture has been formed into balls. Place in a serving dish.